Hurricane season in the Caribbean tends to start sometime around May and June, and ends sometime in November. Caribbean hurricanes can bring with them strong winds. The Caribbean islands first received a tourism boost in the early 1980s and have not looked back since. Millions of visitors tour the islands annually. The islands are a favorite region for tourists seeking to have a good time in world class hotels and beaches. However, choosing the right season to visit the Caribbean is essential. Good deals may fool unsuspecting tourists who arrive only to experience bad weather. Hurricane season is a major concern in the Caribbean region. Signs of the hurricane season in the Caribbean Islands start in May with periodic light rains through to June. Traditionally, the hurricane season begins from June 1 to November 30 but peaks in the months of August, September, and October during which the islands experience series of hurricanes and tropical storms. However, each year can be unique. Some years may experience fewer storms than others, or storms that are less serious. However, even when the hurricane season does not experience hurricanes or storms, the weather is usually humid and harsh with seaweed covering beaches and the seas are too rough for any kind of activity. On average, there are about 11 tropical storms in a single hurricane season out of which five to seven may progress into full blown hurricanes most of which do not reach the land. Can You Still Travel to the Caribbean During Hurricane Season? The hurricane season brings with it poor visibility, stormy waters, and inactive marine life. However, some divers insist that this is the best period for diving. Hurricane seasons experience the lowest turnout of tourists making the season the most affordable in the Caribbean islands. Luckily for tourists and residents, there are some islands in the group that rarely experiences hurricanes. Secondly, sailors in the area, using sophisticated satellite technology, navigate away from storms every time, therefore, the odds of a vacation being ruined are low. When traveling during hurricane season, tourists should be sure to purchase travel insurance, and to rely on both official (National Hurricane Centre) and local information to get to the safe zones of the hurricane belt. While official statistics provide a good source of information, locals too have a good grasp of their environment. While booking, people are advised to read the fine prints of cancellation policies for airlines and hotels. 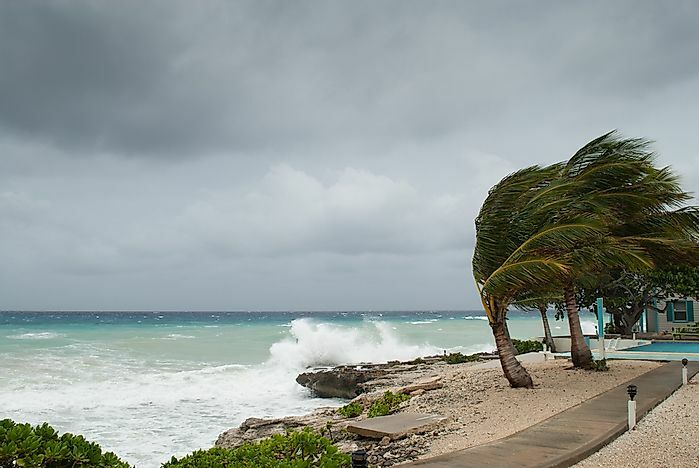 Many hotels in the Caribbean also offer hurricane guarantees or other plans in case a hurricane hits. Reading these guarantees enable people to choose safer and more secure hotels. The last tip, which is the most basic and important one, is to never go incommunicado. While it is good to switch off communications during holidays, this is not the wisest idea during hurricane seasons because correct and consistent communications may be a person’s lifeline in times of storms.